WorkCycles city bikes are practical, beautiful and durable utility bicycles built to provide decades of reliable service in all conditions. 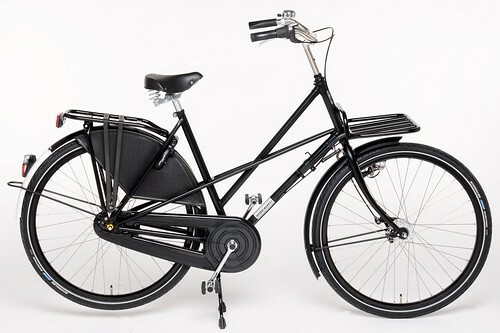 Like all real “Dutch bikes” they’re equipped to ride comfortably upright, clean and dry in street clothes, to ride in the dark, and to carry your groceries, gear and children. 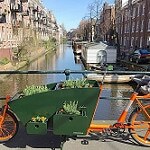 WorkCycles bikes are not flashy fashion items; they are simply the best daily-use bicycles we can build for an affordable price. 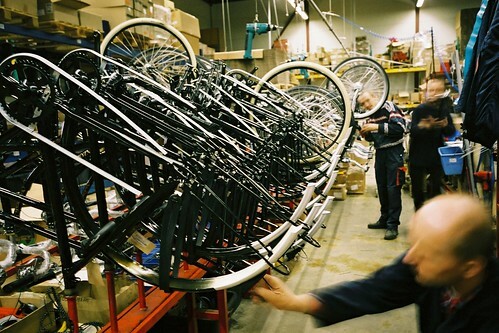 All WorkCycles bikes are hand-built here in the Netherlands. Each bicycle is custom built for its new owner as a combination of a frame choice, component package and various options. This page explains in detail the options available. 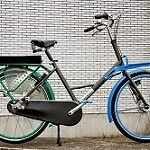 For purchase information please contact us via the various city bike model pages on the WorkCycles website. 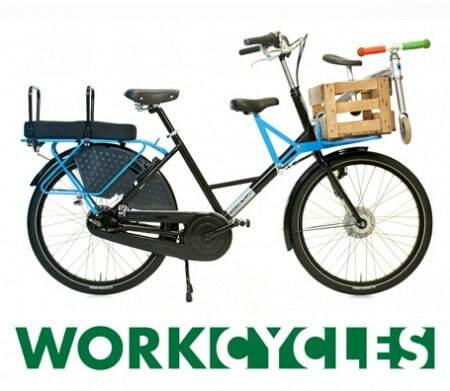 WorkCycles builds both bikes for individuals and also special bicycles for business and organizations. Whether your firm needs a fleet of heavy-duty transport bikes or just a couple gorgeous bicycles for a boutique display we have the experience and capabilities for the task. There are many more possibilities for fleet bikes than shown on our site and in our price lists; Just contact us to discuss your needs. Foreigners sometimes ask what our bikes weigh, as if this is an important consideration in a utility bike. Answer? They’re not an ounce heavier than they need to be. WorkCycles bicycles ride great but they’re not light weight. Making them lighter would require compromises in durability, practicality or price. They weigh between 18 and 25 kilos – depending on how many extras and gears you add. Lugs and large diameter tubing make them much stiffer and stronger than frames from other manufacturers. They’re built to handle heavy loads, child seats, big riders and constant use. Frames are coated first with an anti-rust zinc carbonate primer and then a tough and environmentally friendly powdercoat. They’re guaranteed for 10 years against manufacturer’s defects. 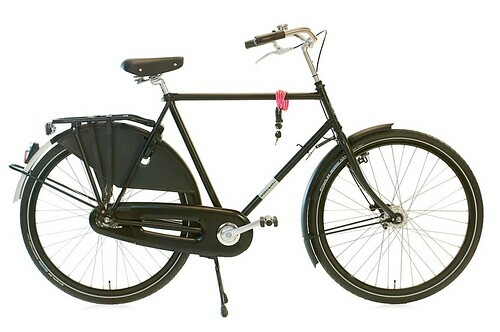 Special wide, double-wall, black, aluminium rims are made here in the Netherlands just for WorkCycles. These tough rims are laced with (thick) 2.3mm stainless spokes bent to precisely fit the hub. These wheels are so durable that they put those of other city bikes to shame. They’re perfectly suitable for heavy riders, carrying large loads or two kids. 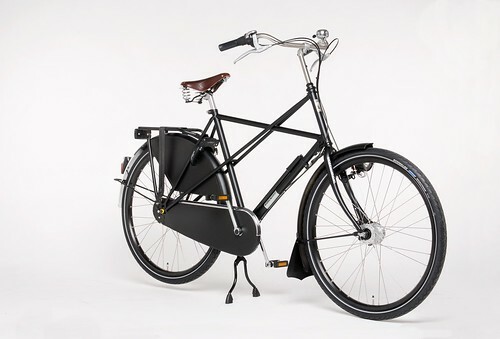 They’re even strong enough to ride with an adult passenger on the rear carrier… Dutch style. The tires are smooth rolling and long wearing Schwalbe Marathons with Kevlar anti-puncture layers. On request we can fit even more puncture resistant Schwalbe Marathon Plus tires. All WorkCycles bikes have fully enclosed hub gears, mostly from Shimano: foolproof shifting, nearly maintainence free and out of harm’s way. You can even shift while stopped, a very handy feature when riding for transportation. 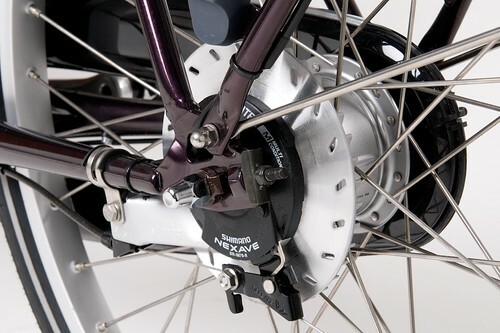 All models have a front Shimano roller brake and either a backpedal or (hand operated) roller rear brake. Hub brakes are nearly maintainence free, unaffected by weather and don’t make the bike dirty with brake pad sludge. WorkCycles fits the top of the line Shimano IM80 rollerbrakes to all bikes now. Though many Dutch bicycles have only a rear coaster brake we feel strongly that a bicycle with two brakes is both safer and more convenient. No dirty trousers/skirts and almost no drivetrain maintenance. The mudguards are zinc and powder-coated steel so they won’t break or rust. The full chaincase keeps your drivetrain clean to reduce maintenance to a minimum. A hatch on the rear makes the occasional lubrication and chain tension adjustment easy. Bright lights whenever needed without the hassle of batteries. The dynamo is inside the front hub so it runs silently with negligible resistance. Headlamps come from B&M in Germany and have powerful LED’s. The taillamps have LEDs with a 100,000 hour lifespan and energy storage circuitry to remain on for a few minutes while stopped. Double wiring is routed internally though the frame and mudguard stays for reliability and clean looks. The handlebar, stem, spokes and almost all of the nuts, bolts and washers will remain serviceable and pretty for decades… even when stored outdoors in a rainy climate (like Amsterdam). We find the combination of this stable, 2-leg center-stand, steering limiter spring and the headlamp mounted on the left fork leg to be much handier than the more typical side-stand. 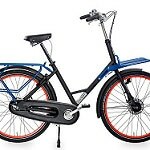 The bike stands upright which is great when loading the front carrier and even with loaded panniers or front carrier the bike stands reliably. The integrated lock immobilizes the rear wheel. This won’t prevent the bike from being carried away but when combined with a chain or U-lock it’s a very complete locking system. For those fortunate enough to live in a low-theft area the ring lock is adequate on its own. 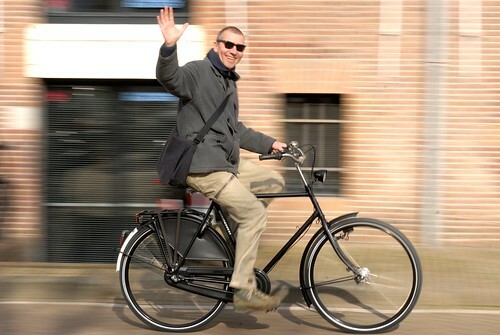 Carry a child seat, big panniers, or a friend… Dutch style. WorkCycles carriers are strong, very strong. This incredibly handy rack is fixed to the frame so it can carry huge loads without influencing your bike’s handling. Your bike remains stable when parked as well. Once trying a bike with a frame-mounted front carrier you won’t ever want to ride a bike with a load that swings around with the front handlebar. It can be removed with a single bolt, but once you’ve used this carrier you won’t understand how you ever lived without it. 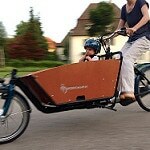 Most WorkCycles riders choose to semi-permanently attach a crate to their front carrier. Just drop your grocery bags, backpack, briefcase, kids toys in and go. “Classic” or “Secret Service” series bicycles? 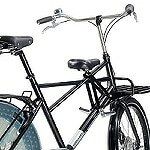 The WorkCycles models can be divided into two series: Classic and Secret Service. The differences are more a matter of geometry, appearance and mass than technology. In fact many of our favorite components and materials are used almost universally throughout the line. Its also worth noting that there are no quality differences between the various WorkCycles models; We build bikes that are absolutely good enough to provide years of pleasurable transportation, nothing less. Just choose the frame type, components and options that best suit your needs, with the assurance that our simplest 2-speed is made with the same attention and care as the most expensive Nuvinci CVT model. The Classic bicycles are more traditional in appearance, have a slightly more relaxed and stable ride thanks to a longer wheelbase and larger tires and mudguards. The Secret Service bicycles are slightly more “athletic” in nature. 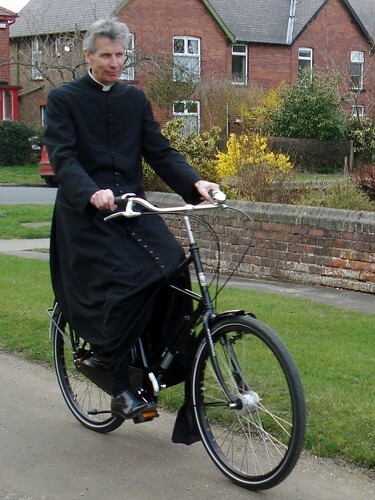 They’re also great for cyclists for whom the ultra-robust Classic bicycles are overkill or to ride in areas where the topography is more varied than Holland. This is all quite relative as these are still much tougher and better equipped bicycles than most people have ever seen or ridden. Both series are available in a range of sizes but the very smallest sizes are only available for the Secret Service and the very largest size (73cm!) only for the Classic. 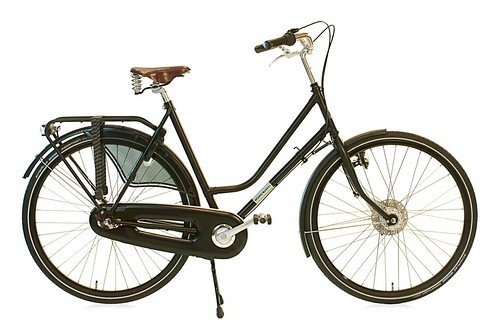 Classic series bicycles are built on the Oma, Opa, Double-Tube and Kruis frames. These are modern descendants of the beloved, black, Dutch roadsters produced since the beginning of the 20th century. 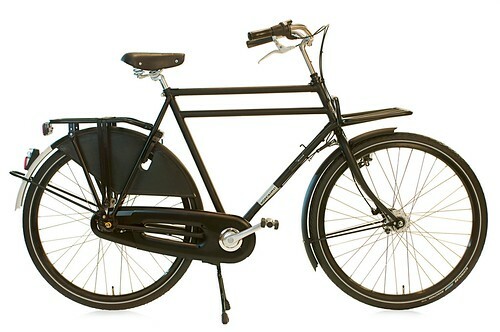 They are timeless, comfortable, practical and (aside from the WorkCycles Fr8) as tough as bicycles can be. The geometry is relaxed, the wheelbase is long and the fat, 47mm tires provide a wonderfully smooth ride. They also provide lots of protection for the rims when carrying heavy loads. The traditional square-bend handlebar offers classic looks, comfort and versatility. You sit upright but can tuck into a headwind by holding the front section. The thick-walled stainless steel won’t break even after years of abuse. Colors: Gloss Black or Matte Black. Some frames available in both and others in only one of the two. Classic series bicycles can be built on the basis of any of the following frames. Below is an overview. 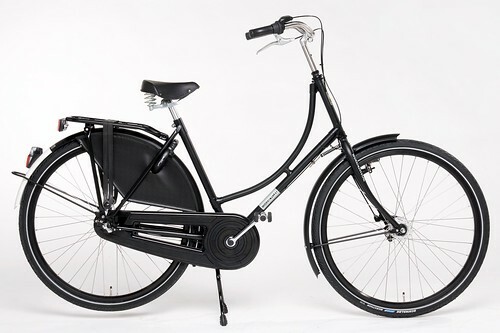 The iconic Dutch granny’s bike with gracefully curved tube and very tall head tube to sit upright or fit a front child seat. 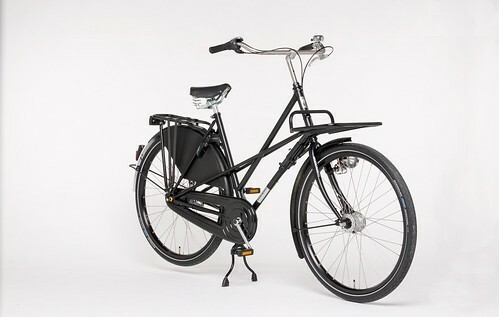 Everybody makes something “looking” like this bike but the WorkCycles Oma is constructed with large diameter tubing and a reinforced seat tube so it’s much stiffer and stronger than similar looking frames from other manufacturers. The timeless, diamond form, men’s frame, with solid riding large-diameter tubing. No nonsense beauty. 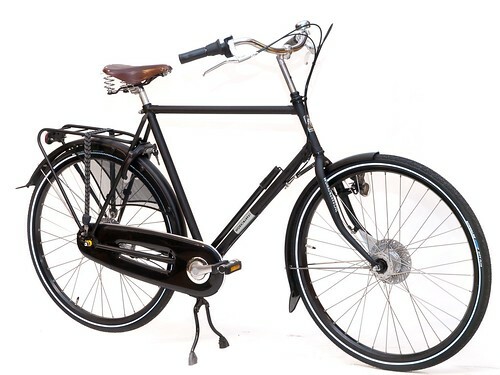 The twin top-tubes make this frame extremely strong and stiffer than the otherwise similar Opa but Dutch men generally buy them because it’s something of an icon here. The 73cm size Double-Tube is extra long for really tall men (200cm / 6’6″+). “Kruis” = “Cross” Originally made for the preacher with his long robes. The many triangulated tubes makes this frame very stiff, strong and distrinctive. The Kruis also has a very long head tube for very upright sitting while the step-over is lower than a diamond frame of the same size. Tip: The Kruis makes a great transport bike with our front carrier; It’s even stiffer than the Double-Tube frame. An attractive cross-frame with a lower instep. This frame is ideal for tall women, for carrying kids or for a couple to share. The geometry is identical to the Oma frame but it’s much more solid riding under load. The stiffness and relaxed geometry provide especially solid and safe handling. From 2003-2013 WorkCycles Classic bikes were available in either a simpler “GT” spec, or a slightly fancier “LX” spec, each with several variants. Anno 2013 production of the traditional “lakdoek” (vinyl coated cloth) chaincases and skirt guards ended so we’ve merged the GT and LX into a single model line called “GX” (which doesn’t mean anything but we Dutch like acronyms). Fortunately local supplier Hesling has introduced an excellent new chaincase that looks like the traditional “lakdoek” model but is actually their most advanced model yet. A comfortable, tough and weatherproof Selle Royal Ondina saddle (vinyl) is standard. A Brooks B67 (mens) or B67S (unisex) leather saddle is optional. The Secret Service is our stealth machine. It’s conservative in appearance and is made from similar materials to our Classic models. However it’s a little lighter, faster and more responsive handling because it’s based around 37mm wide tires instead of the fat 47mm of our Classic bikes. The smaller tires enable narrower mudguards, and thus a frame and fork with tighter geometry. The combination of slightly shorter wheelbase and lighter weight provide a more sporty ride… sporty for a heavy-duty city bike, that is. The Secret Service comes in a wide range of sizes, making it also suitable for the smaller cyclist (as well as normal and larger riders). The Secret Service can be built with either of these frames. All are available in gloss black and most in matte black. The timeless, diamond-form, men’s frame, with solid riding large-diameter tubing. No nonsense beauty. A timeless step-through frame that looked as normal 50 years ago as today… except that this frame is made with oversized tubing making it much more solid riding. 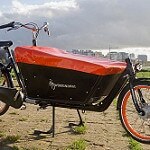 WorkCycles can fit this ultra handy front carrier to any of the above bicycles. In fact a majority of our bikes get fitted with it. 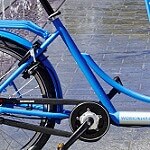 As noted above the carrier is bolted to the frame where it has no influence on your bike’s handling. Most riders choose to semi-permanently attach a plastic or wooden crate to the carrier: Just toss your groceries, briefcase, pug, backpack… right in. Brooks leather saddles are beautiful and gradually form to your anatomy. With care they will last many years, developing a lovely patina. But leather saddles require care and maintenance and will not survive long if the bike is stored outdoors in a rainy climate. Any model can be fitted with one of the following saddles, if it’s not already standard equipment. Conversely a vinyl saddle can be fitted to a bike that normally comes with a leather saddle. This is Brooks’ standard city bike saddle, with the “S” designating “short” or ladies’ versions. Available in Honey, Brown and Black. Brown is standard. Honey and black usually cost a few euro more. The B33/3 is much bigger and has really cool, wound triple-coil springs. This saddle is quite imposing and can be overwhelming on smaller bicycles. A word of warning: The B33 is beautiful and luxuriously wide but we feel that the B66/67 really rides better. Honey or Black. In some cities your precious Brooks saddle will get stolen, so we can press-fit a small cable from your frame to the saddle. Its discrete and provides room for adjustment. 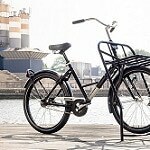 The WorkCycles website is here. 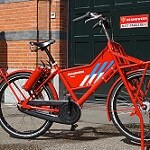 Here are the various WorkCycles city bikes on our website. 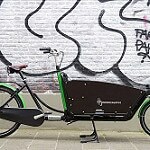 I did some test rides lately, including two cargo bikes, and I noticed some big differences in pedaling, mainly due to smaller chain ring or shorter crank arms. Hi Doru, All WorkCycles adult bikes have 170mm cranks. The gearing depends on the bike and the gear hub chosen, and we also offer options to choose different gearing from the standard option. Standard on an 8sp Fr8 or classic city bike is 44/20. Both always have 44T chainrings in any case. Thanks for the answer. This explains some things for me. Like the fact that I need longer cranks. 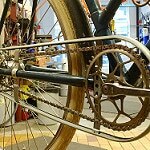 Is it possible to fit 175mm cranks on a city bike? Bottom bracket is high enough? I assume that for Fr8 is a no go. Doru, You really don’t need longer cranks on a city bike. It’s been demonstrated in almost every scientific study of crank length for decades that crank length has almost no influence on power nor efficiency. Within reason cranks can only be too long, for example for a child. And longer cranks is anyway not an option on WorkCycles, or pretty much any utility bike. The local topography here can be called ‘roller coaster’; I can’t go two miles in any direction without encountering 6% to 10% grades (or worse). What is the lowest ratio of a SS Nx8D in gear-inches? (A stupid measurement, I know, but one I’m familiar with.) Could that bike be ordered with a bigger sprocket or a smaller chainring? I’d rather ride than have to get off and walk. I know I’d lose the high end, but I don’t mind. Hi Curtis, We frequently build our bikes with different gearing. A SS has a 38T chainring and is normally fitted with a 17T cog. No problem to build it with a 20T or even a 22T. On the Sheldon Brown tech website you can find the ratios of the Shimano 8sp hub (they’re all the same) and calculate out what you think to be reasonable maximum and minimum ratios. Ideally fifth gear (direct drive) works out as your basis “cruise” gear… but that probably won’t be possible in this case. 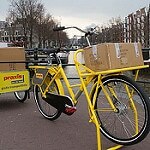 can one order your bicycle without going through a shop which resells your product? i am in the chicago area but wish to purchase directly. Eric, If we have a dealer in the area we will not sell directly unless there is adequate reason to do so and only after discussion with the dealer. Please go talk to JC Lind in Chicago; they’re great folks. got one from madison, wisconsin (just 2 hours away). thanks! I’m interested in purchasing a bike but wanted to find out if there are dealers in NYC? If not, do you know any that ship? Cassie, We do not currently have a dealer in New York. You could try convincing a local shop to carry WorkCycles (718 Cyclery?) or we can just ship from the Netherlands as we so often do. Could you please tell me how it comes when it’s shipped (fully assembled, partially assembled)? Also could you please tell me a bit about shipping charges? Please mail us for more info about the shipping costs. Here you can see how the bike is packed and reassembled. Before packing the bike is completely built and adjusted. It’s very easy to reassemble. I have ridden a Gazelke Toer Populair 49 cm. Would sizing for SS be the same? Thank you, though admittedly I’m a little confused. 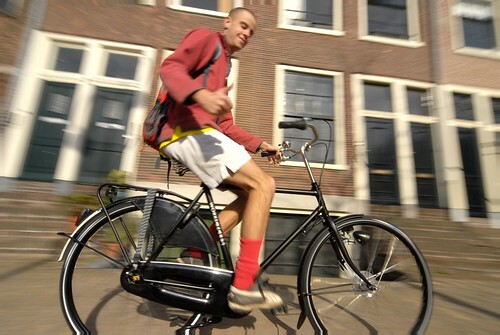 For starters, the Toer Populair bike I rode was 51 cm (not 49). So based on your figures above, perhaps a 53 or 55 cm would work best for me? I’m 5’5″ and have a 30-inch inseam. 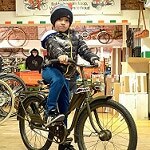 Many thanks for your guidance as we do not have a Workcycles dealer in the Los Angeles area. Would you suggest I order through you directly? 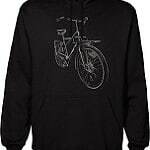 Or through the Portland dealer (Clever Cycles)? The Secret Service comes in frame size 49 or 55cm and with a 30″ inseam you’re better off with the 55cm frame. Just order directly from us. It’ll be cheaper and easier, and we can build the bike exactly as you want. Thank you for your guidance. I so appreciate you taking the time. My first preference would be to visit your shop in NL and place my order in person! But if that isn’t feasible in the next few months, I’ll be back in touch to sort out the details. I love the thought of having a bike built just for me! Many many thanks again.